Like many people, our weekends are busy, especially in the summer. Between reunions, birthdays, vacations, and friends visiting, we also have to tackle the yard work and grass that never slows down in Iowa. Weekends are for friends and family, of course with a family business, sometimes the weekends are for work as well. Our customers and vendors become our friends, and like all of our friends, sometimes they call needing help in a hurry. One weekend this summer was no exception, a company we have enjoyed working with called. They were working on installing a large piece of equipment and a large gearbox was machined too tight to fit on the driveshaft. Of course, they had a team of international investors and installers on site and could not wait until Monday to get it fixed, the expenses were piling up by the hour! Part of the manufacturing community. We had not done the original machining, but they knew we were in the area and could help. As part of the manufacturing community, we know these things happen all of the time. We try to be prepared and plan for problems, but we never truly know what will come up. Therefore we are empathetic to our fellow manufacturers when emergencies arise. A few calls were made between our team and other manufacturers in the area and we were able to get the part machined correctly with 36 hours. Tom and Bob took turns working on the part and driving it across town, in between birthday parties and planned outings. It made for a busy weekend, but everyone worked together to get done what needed to get done. We are proud of our Iowa manufacturing community and our role in it. 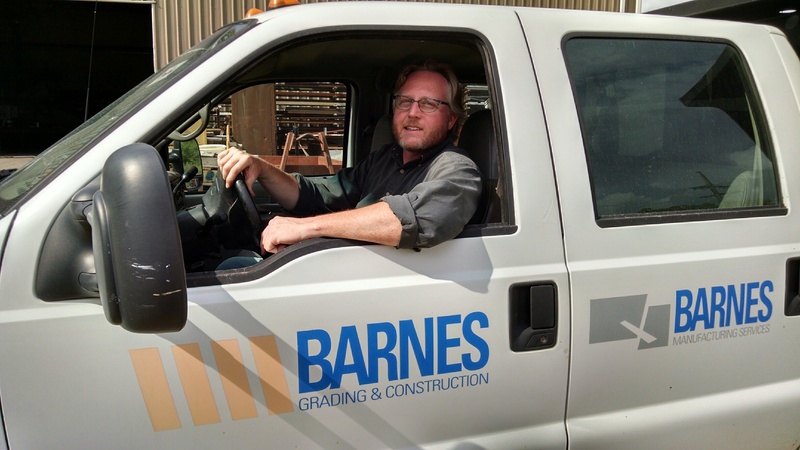 If you want to learn more about how Barnes manufacturing can partner with you to get your work done or more about the amazing manufacturing community in Iowa. To reach out to us use the form on this page, give us a call, email, or connect on LinkedIn and Facebook to discuss working with us on your project.